LED 5W Clear Globe Lamp SBC (B15d) 400lm is rated 4.7 out of 5 by 9. Rated 5 out of 5 by North1 from Good SBC Lamp Bought this a week ago and works, but can't really comment on reliability. 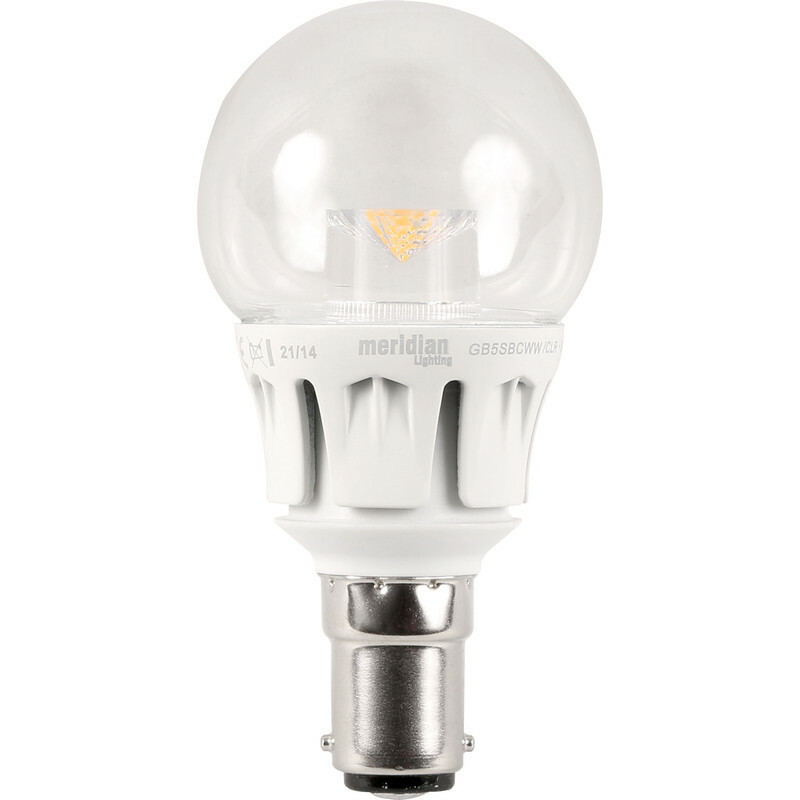 The overall length is approx, 15mm longer than a standard filament lamp so space may be a problem if the lamp needs to fit behind a shade/diffuser. Rated 5 out of 5 by Russell89 from Great bulbs, good price, arrived promptly Found these bulbs on the website, at a very good price. Have two light fittings in the front room, that take 10 bulbs between them. Bulbs arrived the next morning, fitted them easily, very happy with them and the light they bring to the room. Rated 5 out of 5 by Bobby64 from good product and value for money Good product, gives off a good light level. value for money. Rated 5 out of 5 by Lisabfguard from Led 5w clear globe lamp These I’ve ordered before and found them brilliant, worth every penny. Rated 2 out of 5 by Uncle norm from Good shape But as there is so much plastic.th led is not visible throughout.and is therefore not as bright as others. 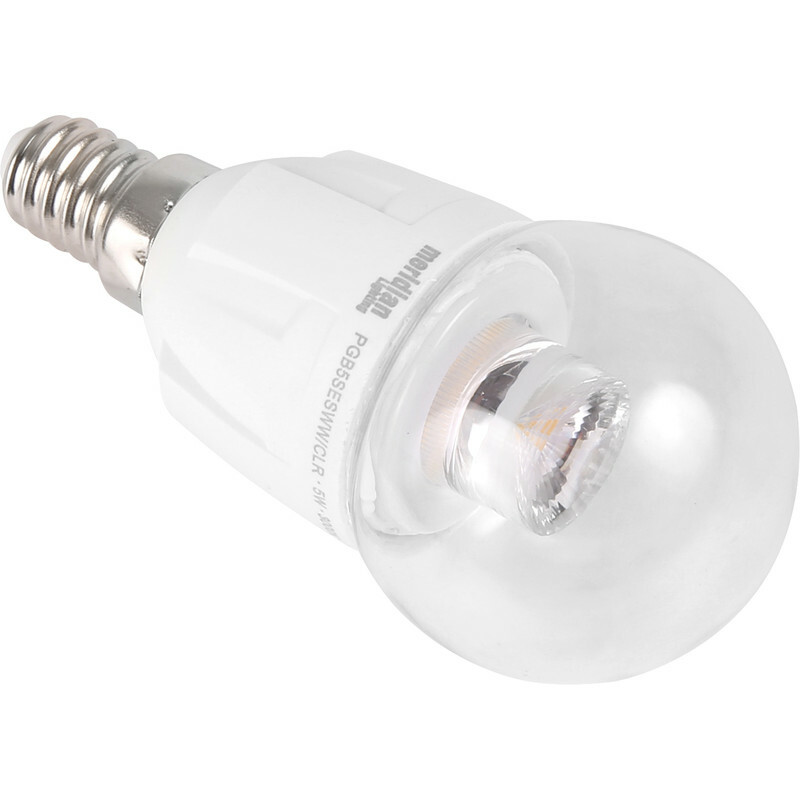 Rated 5 out of 5 by Frogmorton from Excellent illumination I have replaced all the bedroom lightbulbs for this particular 5W LED Lamp. I am amazed at the amount of light it puts out. Three rooms use 3 lamps, but 1 room uses just one lamp, and light output remains superb. Several lamps have now been in use for over 14 months, without problems.